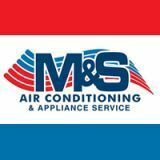 Deciding on whether you should repair or replace your air conditioner can be a difficult decision to make. Consider the age of the unit. An air conditioner has a typical lifespan of around 10-15 years (According to the National Association of Home Builders – “Life Expectancy of Home Components”), so if your air conditioner is acting up, and it’s over 15-years-old, then it might be time to replace it. Even if your central air conditioner is just eight to 10 years old, it may be using up to twice the electricity that a new one would use. Newer units have on average 30% lower cooling bills than equipment installed just a few years ago. If you're in Broward or Palm Beach call M&S at 954-421-3680 or 561-274-6557. We can inspect your Air Conditioning system and give you the information you need to make an educated decision.